There are strong indications that the hope of Spanish giants, FC Barcelona to push for a permanent move for Denis Suarez at Arsenal may not work out after all following the fine form of Super Eagles forward, Alex Iwobi. Suarez is on loan at Arsenal but the Catalan club is believed to be pressing for a permanent move for the midfielder in summer so that earning from the deal can be used to bring in quality legs to replace Barcelona’s ageing squad. 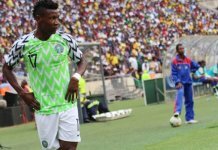 But Iwobi has remained consistently in fine form since the Nigerian was promoted from the feeder team to the senior squad in the final years of Arsene Wenger at the North London club. 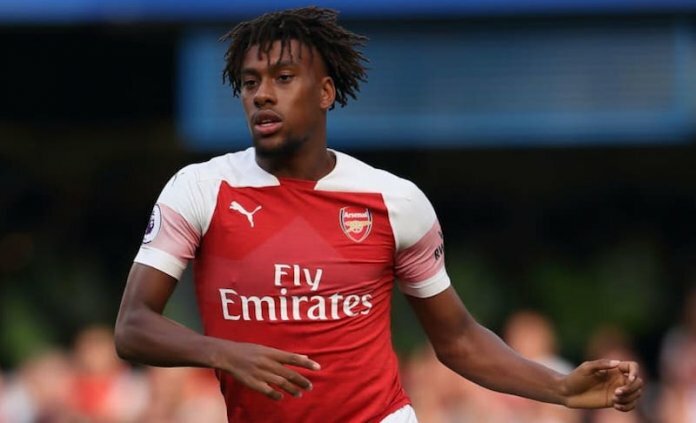 Even the manager who took over from Wenger, Unai Emery has not been disappointed in the quality Iwobi has been adding to the Gunners output weekly. Reports from Spain indicate that Barcelona are willing to push for permanent sale to make funds available to fortify the squad with players to understudy ageing Luis Suarez and another backup for Jordi Alba. According to Marca, the Catalans are already looking toward reaping good money from the sales of Denis Suarez and Andre Gomes who is also on loan at Everton in the Premiership. Denis Suarez who extended his stay at Barcelona until 2021 is on loan for the remaining part of the current, 2018/2019 season at Arsenal. The Gunners are paying the player’s wages. The loan contract also includes a buyout clause for the London-based club. A loan fee is reported to be in the region of £2.1million. The Gunners would have to pay around £20m if they want to sign Denis on a permanent deal. Despite the Spaniard finding it hard to get into the starting XI at Arsenal, Barcelona is still expecting the Gunners to enforce the clause and make the transfer permanent at the end of the season. Gomez on the other hand has settled down with at Everton and his deal is looking good to translate into a permanent deal in summer. Failure to displace either of the duo will mean the player will have to return to Spain which is not a good omen for the team aiming to offload dead weight players from its payroll.